All the wines on offer have been tasted by us so you can buy in complete confidence. When you buy from Jkfinewines, you can be at ease knowing that your wines would be in pristine condition and with perfect labels. We provide free advice on your choice of wines to complement your food choice. ** Please note that all the wines on offer are in stock and are ready for immediate delivery. We inspect every bottle of wines we sell to extend our reputation for excellent provenance, service and integrity. This is to ensure dealing with Jkfinewines is a memorable experience, because we all share a love and passion for Great wines, we hope our enthusiasm is conveyed to all clients. We provide free delivery within Penang everyday but for the rest of Peninsula Malaysia, wines will be delivered every Friday. 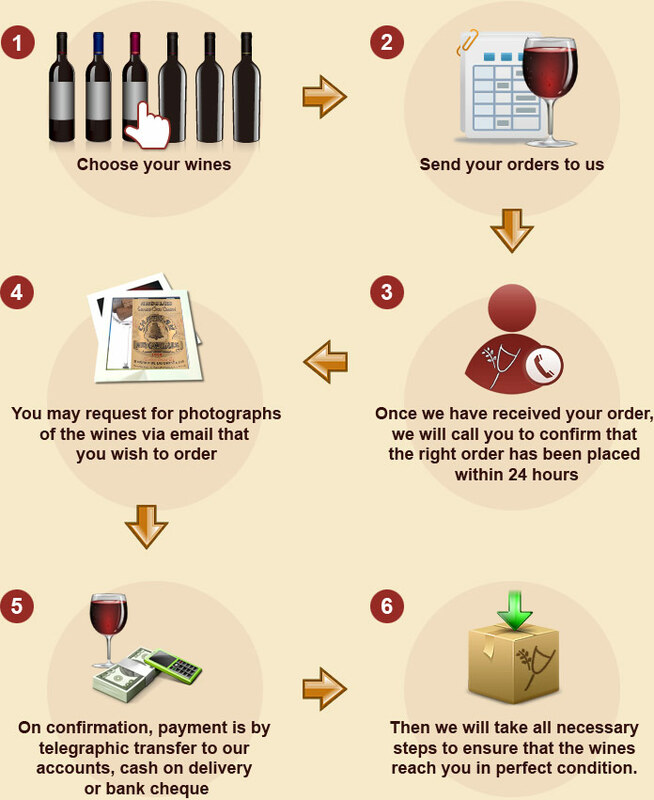 We will try our best to deliver ourselves but if an order of one or two bottle is received, they may be sent via a reputable courier company (free of charge). ** Remember that we are an online store and as such, we do not have retail shops.